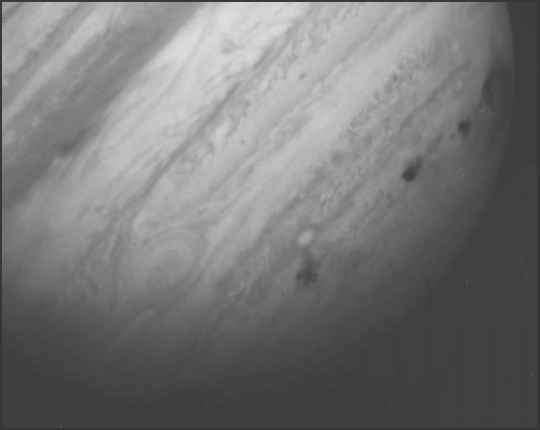 Jupiter's southern hemisphere, showing several dark scars created by collisions of fragments of Comet Shoemaker-Levy 9. The image was made by the Hubble Space Telescope on July 22, 1994, the last day of the impacts. NASA/Hubble Space Telescope Comet Team the new orbit would bring the pieces back to Jupiter in July 1994. The train of fragments from Shoemaker-Levy 9 smashed into Jupiter's atmosphere with a velocity of 216,000 km (134,000 miles) per hour beginning July 16, 1994. They all hit the unobservable side beyond the limb of Jupiter as seen from Earth, but the planet's 10-hour rotation quickly brought each impact site into view. Separated in time by an average of seven to eight hours, each fragment plunged deeply into the Jovian atmosphere, leaving conspicuous scars aligned in a zone near latitude 44° S. Astronomers labeled the individual fragments with capital letters in order of arrival. Fragment G, with an estimated diameter of 3-4 km (1.9-2.5 miles), was probably the largest and heaviest. It left a dark multiringed blemish twice as large as Earth's diameter. Its impact delivered energy equivalent to several trillion tons of TNT—hundreds of times the yield of the world's supply of nuclear weapons. Each impact transformed quickly into an immense bubble of hot gas that glowed warmly in infrared images of Jupiter as it expanded for a few days in the atmosphere. The planet-girdling string of dark brown bruises, assumed to be fine organic cometary dust, remained visible for weeks. It faded slowly into a new, narrow belt induced by Jupiter's strong winds. Spectroscopic studies revealed that the impacts had produced or delivered many chemicals such as water, hydrogen cyanide, and carbon monoxide, substances that exist on Jupiter but in much smaller concentrations. The excess carbon monoxide and hydrogen cyanide remained detectable in the upper atmosphere several years after the event. In addition to its intrinsic interest, the collision of a comet with Jupiter stimulated detailed studies of the effects that cometary impacts would have on Earth. In 2009 a dark spot similar to those left behind by the fragments of Comet Shoemaker-Levy 9 appeared near the south pole of Jupiter. Since only one spot was seen, it was believed that the impacting body was a single body—either a comet or an asteroid—rather than a chain of fragments. 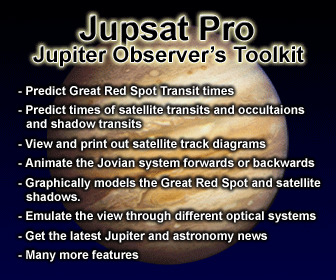 In 1955, Jupiter became the first planet found to be a source of radiation at radio wavelengths. The radiation was recorded at a frequency of 22 megahertz (corresponding to a wavelength of 13.6 metres (44.6 feet), or 1.36 decametres) in the form of noise bursts with peak intensities sometimes great enough to make Jupiter the brightest source in the sky at this wavelength, except for the Sun during its most active phase. The bursts of radio noise from three distinct areas constituted the first evidence for a Jovian magnetic field. Subsequent observations at shorter (decimetre) wavelengths revealed that Jupiter is also a source of steady radio emission. It has become customary to refer to these two types of emission in terms of their characteristic wavelengths—decametre radiation and decimetre radiation. intensity of the emission and its plane of polarization (the plane in which the oscillations of the radio emission lie preferentially) vary with the same period. 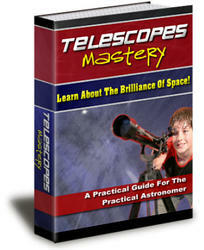 Both effects are explained if the axis of the planet's magnetic field is inclined by about 10° to the rotational axis. The period of these variations is the rotation period designated as System III. 5 km (3 miles). The strength of the radio signal and the frequency of noise storms show a marked time dependence that led to the early detection of three "sources," or emitting regions. The System III rotational period was initially defined through the periodicity of these sources. The decametre noise storms are greatly affected by the position of Jupiter's moon Io in its orbit. For one source, events are much more likely to occur when Io is 90° from the position in which Earth, Jupiter, and Io are in a straight line (known as superior geocentric conjunction) than otherwise. The noise sources appear to be regions that lie in the line of sight toward the visible disk of the planet, unlike the nonthermal decimetric radiation. The most promising explanation of the effect of the orbital motion of Io on noise storms relates the emission to a small region of space linked to Io by magnetic field lines (a flux tube) that move with Io. Electrons moving in spirals around the magnetic field lines could produce the observed radiation. Interactions between these electrons and the Jovian ionosphere are expected and indeed were observed by the Voyager and Galileo spacecraft. The "footprint" of Io's flux tube on Jupiter's upper atmosphere can even be observed from Earth as a glowing spot associated with Jupiter's polar auroras.